The Connex 3300HP is a 10-meter radio which is can be peaked, tuned and can also be aligned at a maximum of 40 Watts PEP. The radio has a blue LED display which has 40 channels AM/FM. 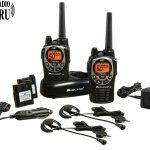 We all know that the radios by connex are the most preferred and most used radios in the world. The two important factors which keep them one of the best on roads are quality and reliability. The meter scale of the radio is small for signal strength and to get a more power output. What you will love about this radio is its power output. It gives you a maximum Power output AM of 10 Watts. Moreover, it has got a talkback facility which is very helpful for truck drivers. This high performing radio works best in vehicles that have a negative ground system. 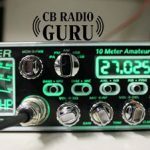 Remember, you will have to take this radio to your nearby CB shop to convert it to a CB radio. But if that’s done, what is waiting for you is an amazing performance from this lad. 40W AM peak power; 10W FM /AM power. Blue meter light; Blue channel LED; Red/Green Transmit LED; 3-level dimmer. Small meter with scales for signal strength and power output; Noise Blanker. Echo board with two controls; Talkback “ON” during echo. This is a 10-meter radio. 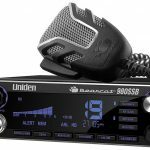 In my experience, Connex is known for producing the most durable and long lasting radio. With the right man setting it for you, there is none no better. They cover a great distance and have good clarity. They are inbuilt with dual MOSFET finals which is one of the best ways to increase the output. It is equipped with noise blankers and noise limiters which clips an audio signal to reduce the amplitude of impulse noise. Also, the talkback aids us in communicating. For best transmitter performance and a reduced receiver noise can be obtained by maintaining a good DC connection. In the case of weak signals, one might experience interference by background noise. 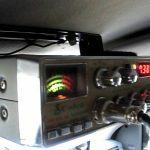 The temperature of this CB radio ranges from -30°C to 50°C. The input voltage should be given a 13.8V DC. The performance of the radio will decrease substantially with a poor connection. The radio has NB and ANL circuits which help to reduce the noises that may arise from the background such as from the ignition systems etc. The installation of the radio should be chosen in such a way that it does not interfere with driver or passenger. The 3300HP CB by Connex is pretty loud and has a good audio quality. You can turn off the roger beep. The very first switch is for a noise blocker and Roger beep, either put it all the way up or down, in the middle it turns the roger beep on. It has a Small meter with scales for signal strength and power output. Many people have doubts about this radio working on a day to day operation in a dump truck. But it holds up very well to the beating a rock truck environment can dish out. 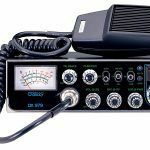 You can use your CB radio all day long and not have a problem with it. To talk about the antenna, they have a jack in the rear for a standard PL-259 antenna plug. If you are looking for the most range for your transmission, use a vertically polarised, quarter wavelength antennas. For better results, you have to adjust the antenna so that it matches with the radio. After you tune and peak the radio and with small linear, and a Wilson 2000, 18ft of coax, one can skip pretty far. You can have conversations with people who are around 1500 – 2000 kilometers. In order to use the PA function, we have to first connect the external speaker to the jack named PA SP on the rear side of the radio. Try to keep the speaker away from the microphone to avoid acoustic feedback. The squelch control know eliminates the disturbing background noise. You can use the RF Gain control switcher to control the RF gain of the amplifier. They have provided the facility so that the user can use it in both AM and FM. There is a MODE switch which allows us to select any one from these operational modes. Front panel meter allows the user to monitor signal strength and RF output power. Channel display shows the currently selected channel. The user should select a low impedance dynamic microphone of the transistorized microphone so as to get the best possible results. These transistorized type microphones have a low output impedance characteristics which will yield a better result. After the completion of the microphone plug wiring, connect and secure the microphone plug in the transceiver. The audio power output we get will be in a range of 2.5W with a 10% distortion. To conclude, the 3300HP from Connex is one of the best radios and they are more durable and long-lasting than many others. As a truck driver, you will love enjoying the talkback facility the radio has. It will be one of the best things you will enjoy using while driving. The radio has two power output levels. If you’ve found yourself a right man to set it for you, you probably need nothing more. After properly tuning and peaking, you will get amazing performance from this radio. You will have to take it to your nearby shops to use it as an excellent CB radio. 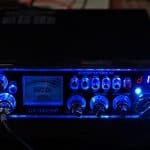 The CB radio has noise limiters which increase the output gain. It has around a 10% distortion but provides a power output of 2.5W. I recommend buying it for your truck. I just got a connex3300 hp I believe it’s going to be a good one. It’s around twice as strong as cobra29 and I have one these as well,to date the best radio I ever had for barefoot talking. I do have a question on swr meter on the connex. I don’t see one, I say this because on the box it says it has one??? ?